Dubai International (DXB) has retained its status as the world's busiest airport for international passengers, according to new data released by the Airports Council International (ACI). Its figures for 2016 revealed DXB continued to lead former number one London Heathrow with total passenger traffic growing by more than 7 percent last year. 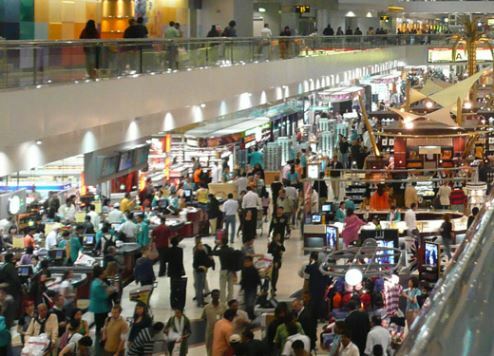 Dubai was also named the third busiest airport overall, behind Atlanta-Hartsfield-Jackson in the US, which reported more than 104 million passengers, and Beijing. The ACI data also revealed traffic at the world’s 20 busiest air passenger hubs grew 4.7 percent in 2016. With more than 1.4 billion passengers passing through their airports in 2016, they represented 18 percent of global passenger traffic. Los Angeles, one of the fastest growing hubs, climbed to fourth place while Seoul Incheon experienced double digit passenger growth of 17.1 percent year on year. Dubai Airports figures reveal 83.6 million passengers used DXB in 2016 compared to 78 million in 2015, up 7.2 percent. Monthly passenger traffic breached the 7 million mark six times during the year including the historic 7.72 million passengers reported in August 2016. Spurred by capacity increase and the launch of new services by Spice Jet, Jet Airways, Air India and other carriers, India remained Dubai’s single largest destination country for the full year with 11,440,215 passengers in 2016, up 10.1 percent compared to 10,391,376 passengers recorded in 2015. Saudi Arabia took the second spot with 6,086,158 passengers (+11.3 percent) just marginally overtaking the UK at 6,061,342 (+6.7 percent). DXB also leads the way globally in terms of the average number of passengers per flight, which reached 209 during 2016, up 4 percent from the same period in 2015. The average number of passengers per flight during December 2016 was 224, up 7.1 percent compared to 209 recorded in December 2015.